Sustainable Development Goal #17 of 17. Partnership for the Goals and Project Management. At the UN Global Compact Leadership Summit, our 5th, as a stakeholder, it was stated as part of the plenary that business cannot thrive if the people and the planet aren’t. This also includes that the 17 UN SDGs are on target. They are universal, transcend borders, industry, and societies. It is the world’s greatest project. Goal 17 is highly interconnected to all the other goals and is cross-cutting. Its success depends on the realization of the other 16 goals. This requires partnerships that place value on a shared vision of global solidarity focused in particular on the needs of the poorest and most vulnerable and with the participation of all countries, all stakeholders, and all people. 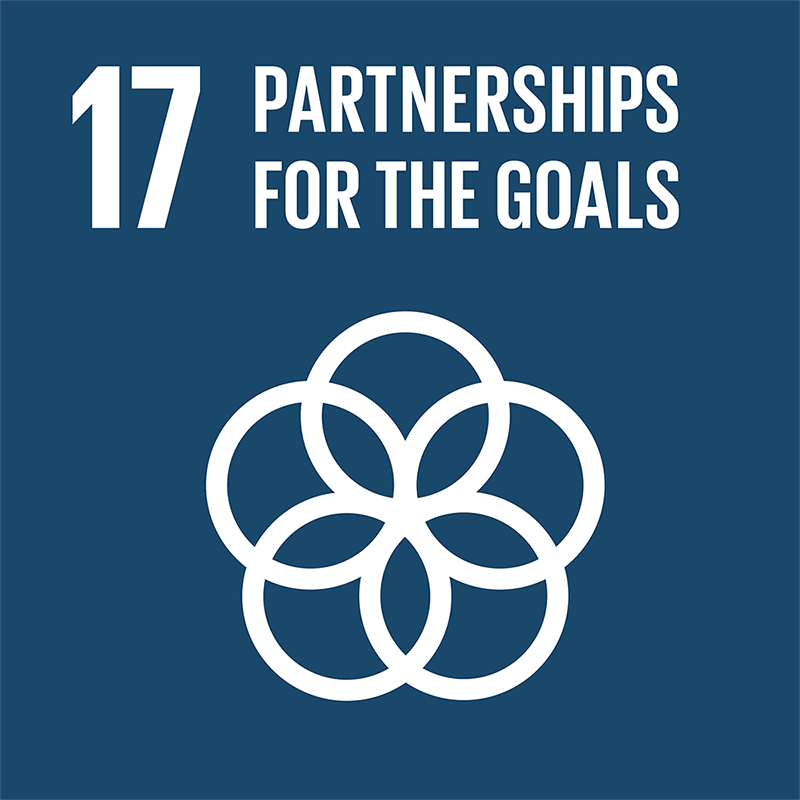 Finding collaborative opportunities in order to achieve the best possible outcome for the SDGs requires partnerships to be formed with industry –even competitors–, governments, NGOs, educational institutions, and civil society. The Blueprint for Business Leadership on the SDGs states that: “Companies are major players among SDG stakeholders, offering expertise, experience, resources, access to knowledge, and capabilities to innovate. But, companies cannot create transformative change acting alone. Business may not fully take account of all voices and be aware of all areas of need; they may not have access to the best available knowledge. The Global Goals are inherently interconnected. Action taken toward one Goal can support or hinder the achievement of others. Identifying and addressing these interconnections will help business to build holistic and systemic solutions that amplify progress and minimize negative impacts. To help build a greater understanding, we have illustrated some of the ways in which the Goals connect. These are not exhaustive, and we encourage business to consider how they apply in their own operations. Business to consider how they apply in their own operations. 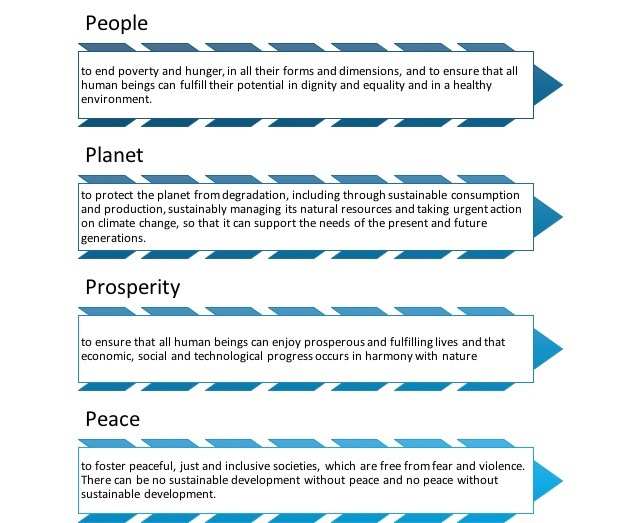 The shared objectives should revolve around People, Planet, Prosperity, and Peace. How does this goal fall in line with project management? This may not be a popular opinion however this author believes that PM associations and best practice thought leaders need to come together and determine what can be done as a profession, putting differences aside. There are MoUs and working boundaries, but in the context of the SDGs, we need to see more action. Specifically, I am calling out PMI, IPMA Associations, Axelos, and APMG. We at GPM provide the platform for sustainable project management and are agnostic in terms of knowledge. We are eager to work with every association to achieve these SDGs.